Our innovative Product Demo services can help in fulfilling your dream of presenting and promoting your productâ€™s features and benefits to your target audience. A Product Demo is an essential part of any marketing campaign. It gives you the advantage of influencing audience to turn into your loyal customers. Product demonstrations allow presentation of ideas, concepts and products effectively. Product Demos can always create a ‘touch and feel’ experience, giving the customers a taste of the ‘real thing’, making them relate better with the product directly. 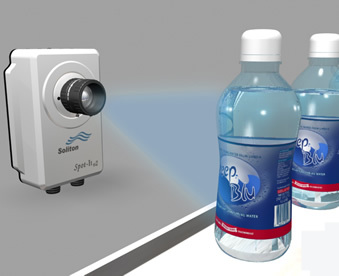 An interactive multimedia product demonstration is a great way to portray your products to the outside world. Whether your product is tangible or intangible, our product demos will reach your target audience conveying their working process, benefits and key differentiators using our engaging aesthetics and user experience. ANGLER’s 3D Interactive Product Demo Services create a virtual prototype for pre-visualization from product design to final production. Manufacturers are hard pressed for time to bring out product models in this fast-paced age of technological advances. Powerful, compelling and interest-grabbing 3D interactive multimedia videos with sound and motion graphics of products give our clients a cutting-edge. Our clients are able to out-do their competition by cutting costs and time and are able to forge ahead by pioneering into new markets with their products that support and encourage staunch brand values. For this to happen we need to meet the challenges of product development and engineering skills with high performance and precision head on. We can provide you 3D motion video and/or Flash animation models with control over camera-view and motion for presentation of the electronic virtual prototyping of your products to be viewed by designers, clients and licensees before the actual tooling or manufacturing starts.